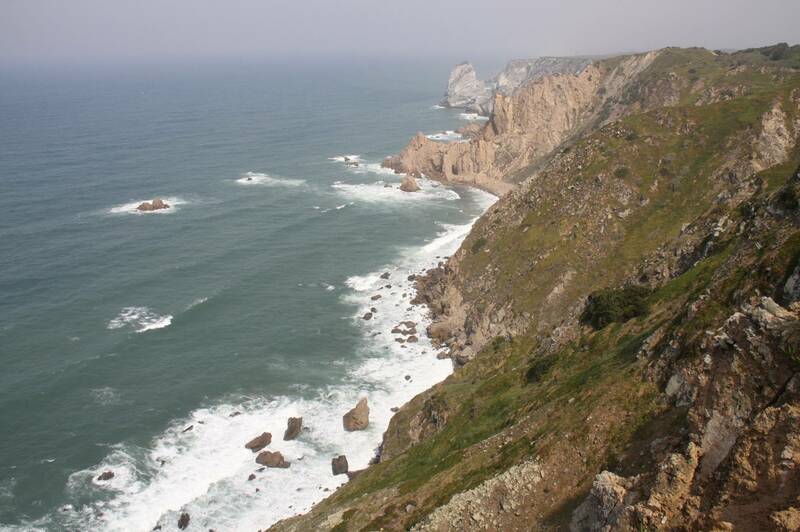 It’s frequently wild, it’s almost always windswept and on a stormy day I imagine you’d want to keep well back from the edge of the plunging cliff face, but you can’t deny the raw beauty of Cabo de Roca. The name translates as ‘Rocky Cape’, which is, if nothing else, a pretty accurate description of what you can see when you poke your head over the cliffs and look north and south. 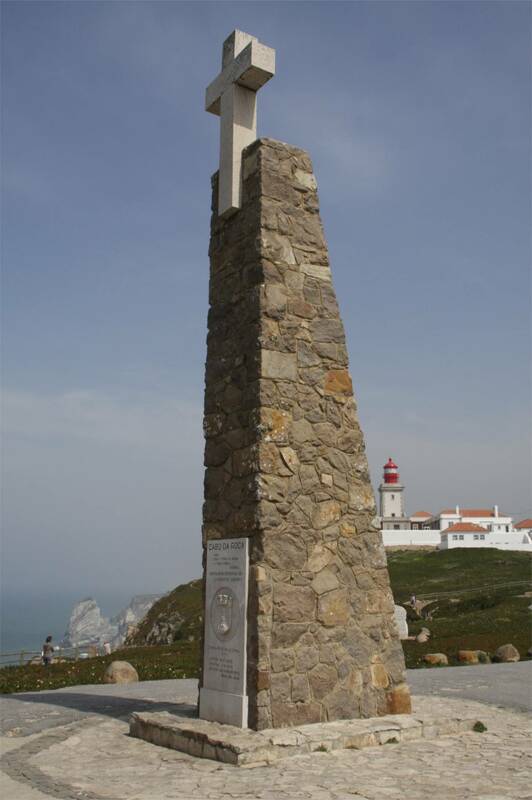 The 16th Century Portuguese poet Luís de Camões described Cabo da Roca as the place “where the land ends and the sea begins”. They had no way of being certain in the 16th Century of course, but Camões was correct. 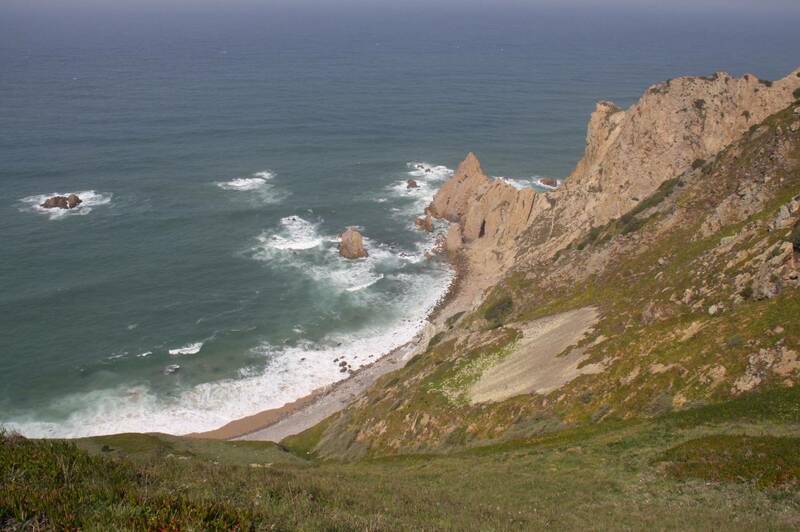 Cabo de Roca is the place where the entire Eurasia landmass, Continental Europe and Portugal end and 3000 miles of Atlantic Ocean begin. To the Roman Empire, which occupied this patch of land up until 400AD, this coastline was the end of the world, and you can see their point. 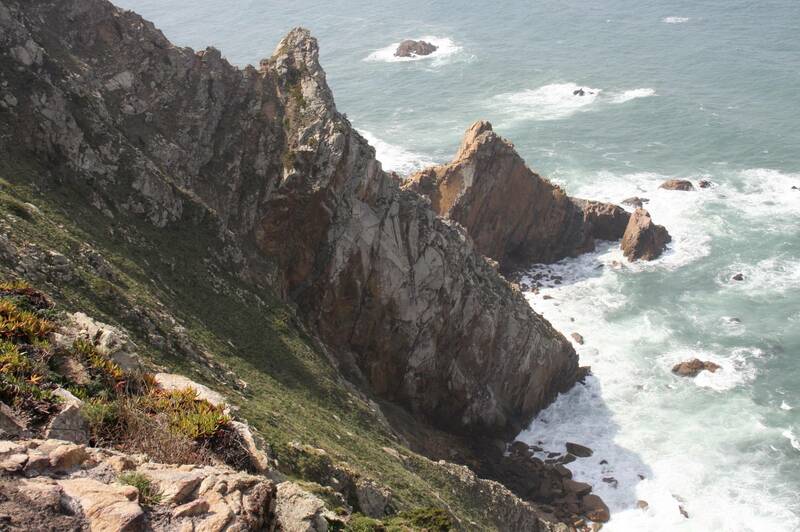 From the 100 metre high cliffs the Atlantic seems to stretch to infinity. It would have taken a giant leap of faith to imagine the American Continent in 400AD. Although we now know that Viking ships crossed the Atlantic Ocean to North America around 1000AD, it wasn’t until the 15th Century that Europeans truly knew that this wasn’t the end of the world. 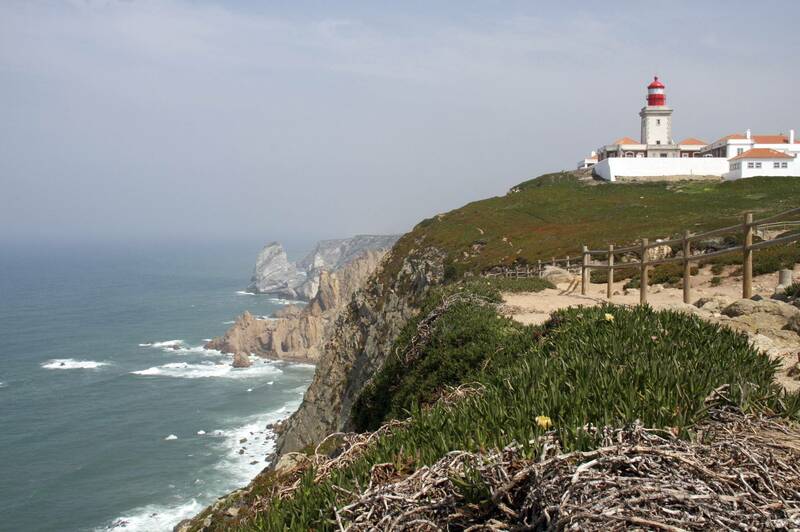 Thanks to its exulted status, Cabo de Roca attracts its fair share of visitors – it is only an hour from Lisbon. Even if it wasn’t the western-most point of Europe, the jagged cliffs and sandy inlets of this coastline would make a trip worthwhile. The surrounding countryside is also really very beautiful. 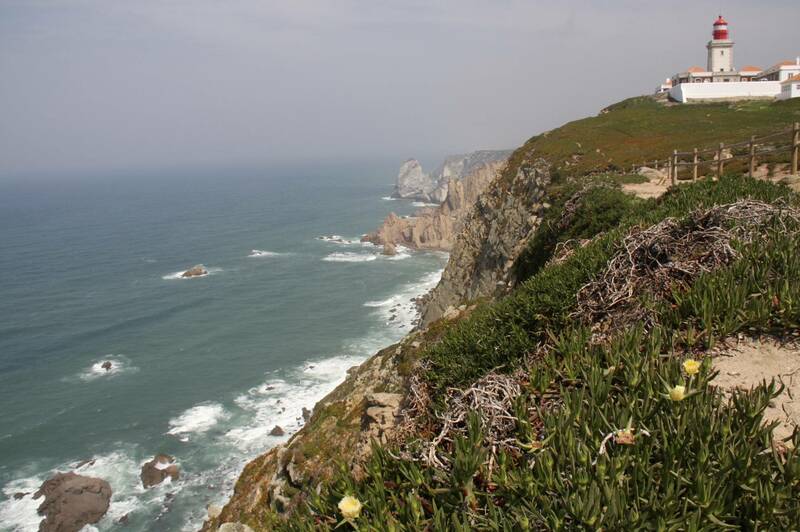 Hiking trails lead off along the coast and although we only strolled a short way, a day or two walking this coast would be wonderful. A large red and white lighthouse – there has been one here for centuries – is the most prominent feature of the area. 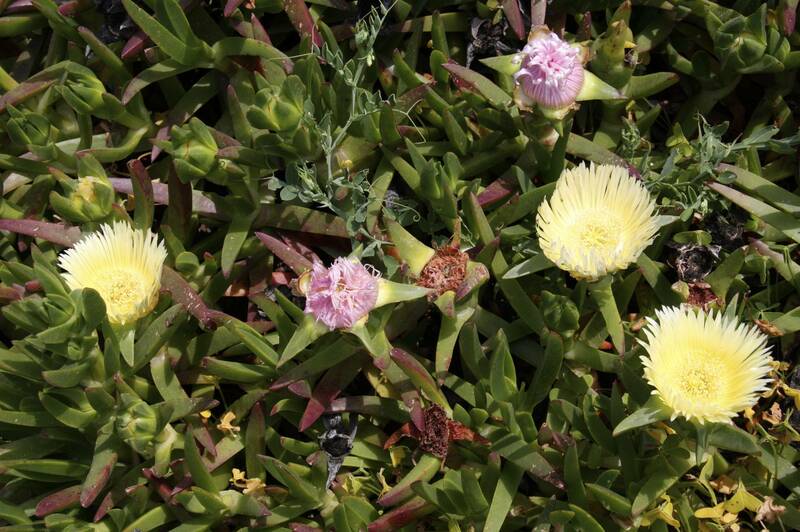 It still performs a vital role, protecting shipping from the perils of this coastline. 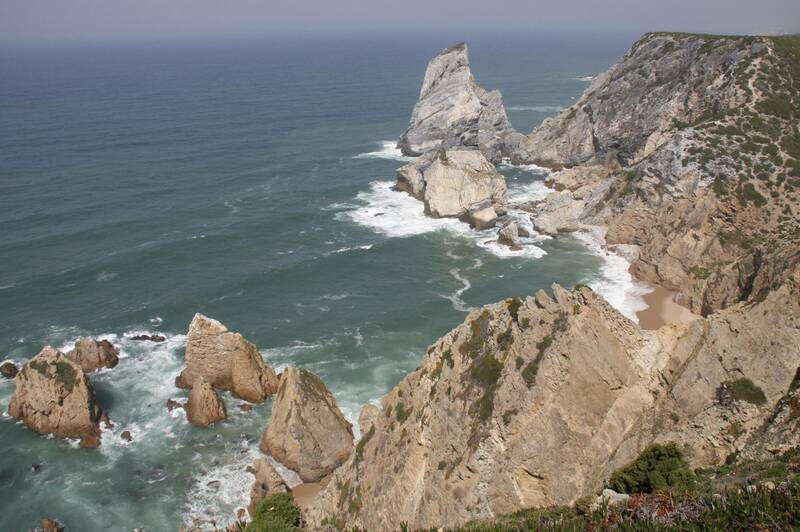 Leaving Cabo de Roca behind, we jumped on a bus and headed for the lovely, and upmarket, seaside town of Praia das Maçãs. 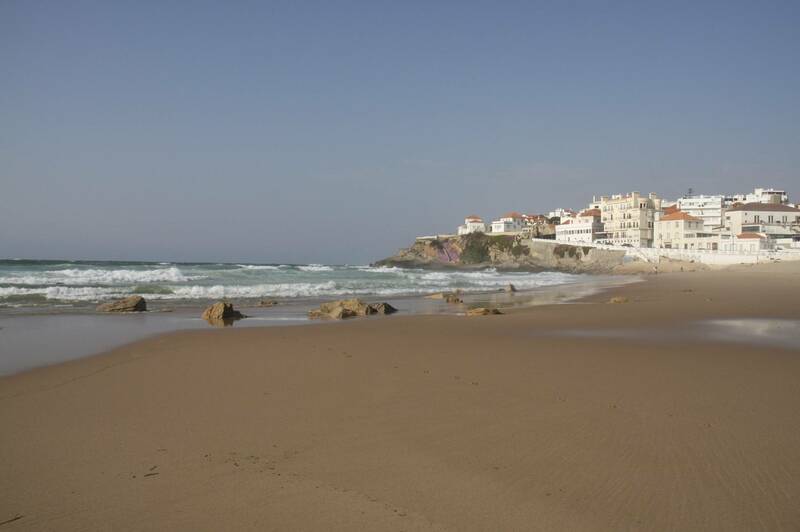 After a truly wonderful lunch in what can only be described as one of the best seafood restaurants I’ve ever visited, we went for a stroll along the nearby beaches. 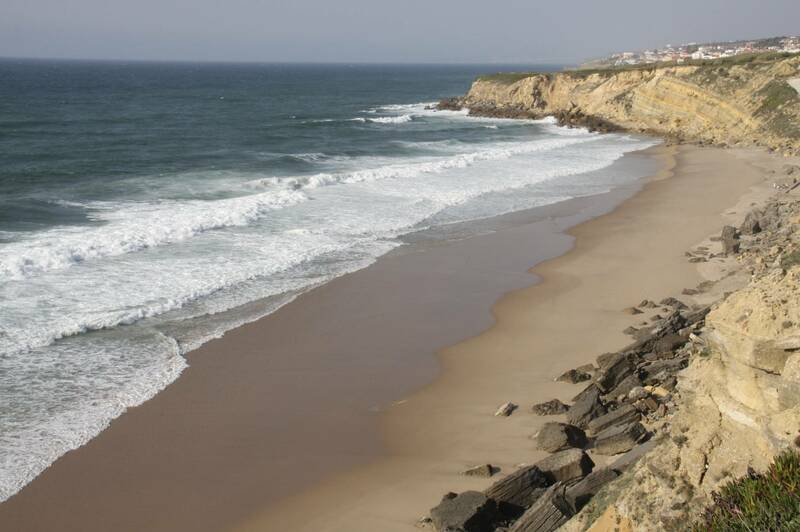 Praia das Maçãs used to be a small fishing village, traces of which are still visible today; it has a wonderful beach next to the ‘town’ known, so the story goes, as Apple Beach because apples that fell from trees into the Praia das Maçãs River were deposited here. 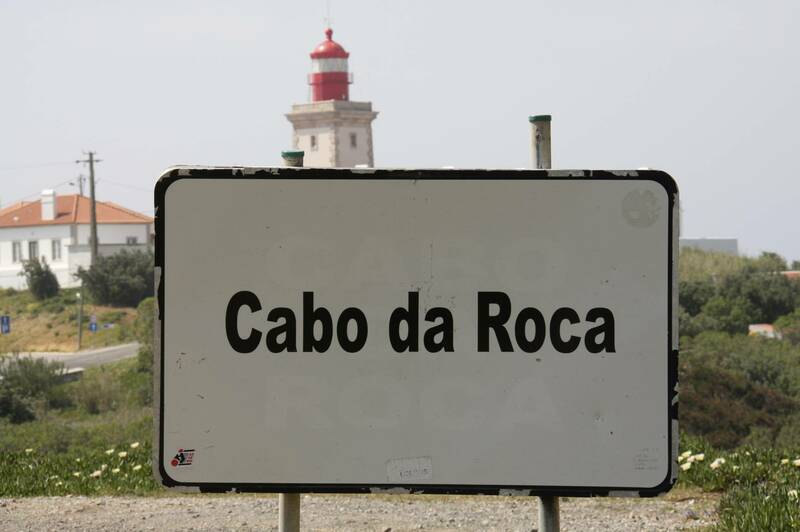 This is a popular destination for Lisbon families, and can get crowded in summer. 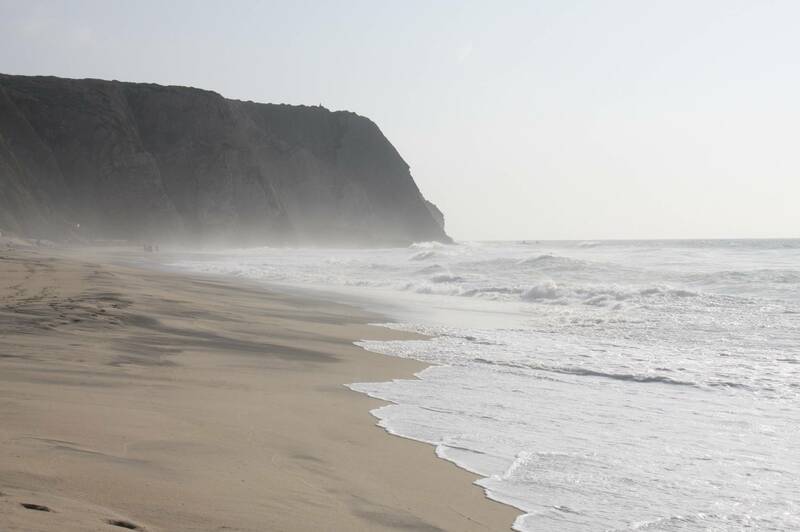 On a week day out of season, the town, coastline and beaches are largely deserted.